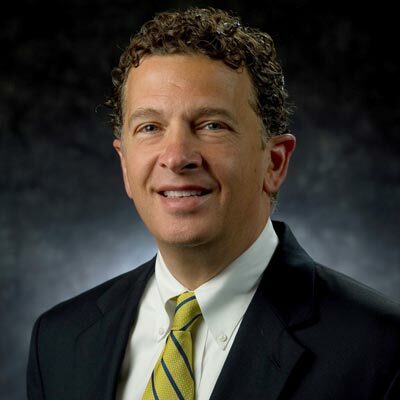 Louis M. Nanni is the vice president for University Relations at the University of Notre Dame. In this role he oversees the University's efforts in development, advisory councils, special events and the Notre Dame Alumni Association. Prior to joining Notre Dame in 1999, Mr. Nanni had served for eight years as executive director of the Center for the Homeless in South Bend, Ind., establishing the center as a national model in addressing the complex issues involved in homelessness. As a leading authority on those issues, he addressed Congress during its debate of welfare reform measures and led training sessions for thousands of community service workers across North America, all the while continuing to form close personal relationships with the center's guests. Mr. Nanni was graduated from Notre Dame in 1984 with a bachelor's degree in government and the Program of Liberal Studies. For two years following graduation he served as a lay missioner working in a Santiago, Chile, shantytown as part of the Holy Cross Associates program sponsored by Notre Dame's founding religious order, the Congregation of Holy Cross. He then entered Notre Dame's pioneering international peace studies program, earning a master's degree in 1988. Mr. Nanni became director of the world mission office of the Catholic Diocese of Orlando, Fla., in 1988 and worked extensively in the Dominican Republic on issues of pastoral support and economic development. He was elected to Notre Dame's Board of Trustees as a three-year, young alumni member in 1990. Mr. Nanni and his wife, Carmen, a 1993 Notre Dame graduate, were presented one of three national exemplar awards by Notre Dame as part of a special University observance in May 1997. He previously served on the advisory council for Notre Dame's Institute for Church Life and in 1994 received the Notre Dame Alumni Association's Dr. Thomas Dooley Award for Humanitarian Service. The Nannis have five children, Isabela, Louis, Katia, Gabriel, and Sofia.